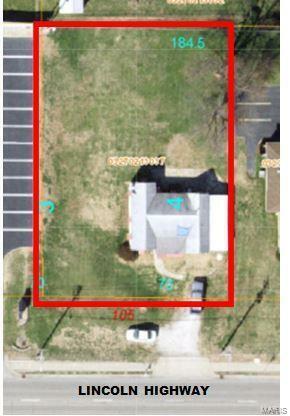 Property is a vacant lot (structure on aerial has been demolished). Contiguous Lot with 2,100 SF Building also available.Both properties priced at $719,000 for a total of .71 Acres. An additional lot may be available. Located on main thoroughfare in the City of Fairview Heights, Illinois. Approximately 11 miles from Downtown St. Louis, MO.19,600 Vehicles per day. Located 1 mile +/- from:St. Clair Square Mall, Major Retailers, Schnucks Grocery Store, Restaurants, etc.I-64 Interchange (Exit 12)IL Rte 159 & US HWY 50 (Lincoln HWY) IntersectionLot is pad ready.